SMOG FREE PROJECT is a series of urban innovations to reduce pollution and provide an inspirational experience of a clean future. The SMOG FREE PROJECT aims to create an immediate impact on a local scale and activate new solutions towards smog-free cities. SMOG FREE TOWER, SMOG FREE RING, and SMOG FREE BICYCLE provide a local solution of clean air in public spaces. Along with governments, NGOs, pro-bicycle campaigns and the clean-tech industry, people can work together to make a whole city smog free. Recent SMOG FREE PROJECTS have been launched all over the world, along with initiatives for smog-free workshops for students to attend. 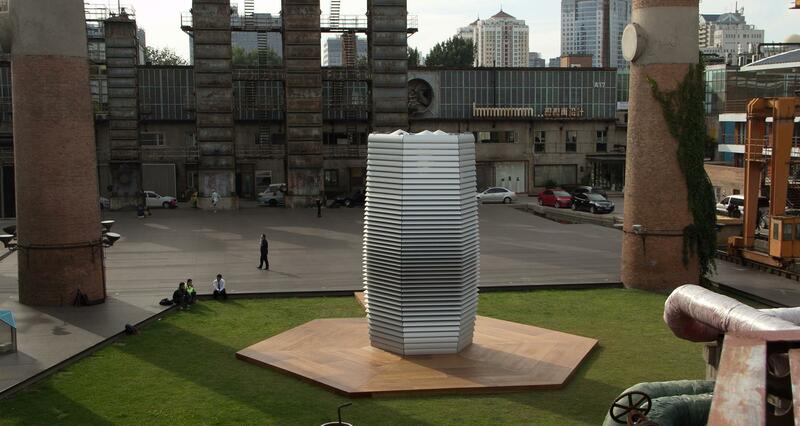 The world’s first smog vacuum cleaner is a 7-meter tall SMOG FREE TOWER that uses patented positive ionization technology to produce smog-free air in public spaces, allowing people to breathe and experience clean air for free. It is equipped with environment-friendly technology, cleans 30.000 m3 per hour and uses very little green electricity. 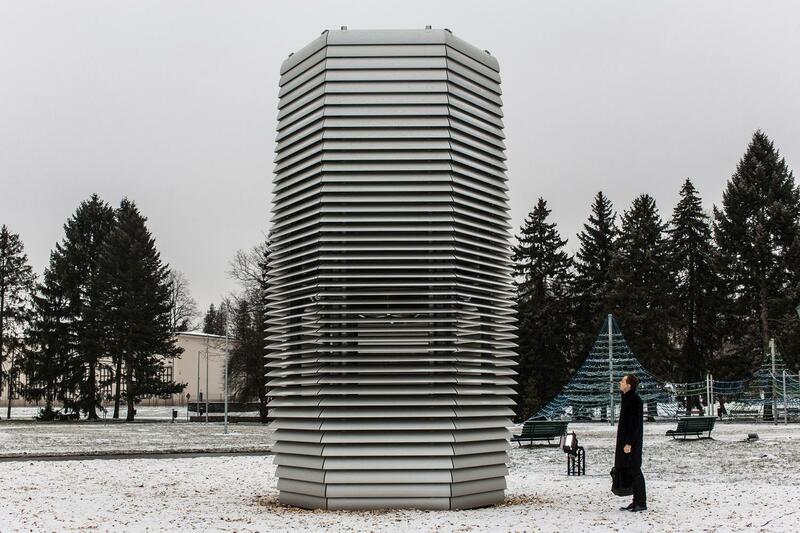 The SMOG FREE TOWER captures and collects more than 75% of the PM2.5 and PM10 airborne smog particles and releases clean air around the tower with a 360-degree coverage creating an almost circular zone of clean air in its surrounding. The SMOG FREE PROJECT was inspired by the lead designers numerous off travels in China and particularly by a visit to Beijing in 2013 when it was no longer possible to look up out of the hotel room and where children were kept indoors due to the severity of the smog. More than 80% of people in urban areas are exposed to air-quality levels that exceed the World Health Organization limits. The Smog Free Project is part of a larger vision, creating ‘Landscapes of the Future’ that connects people, technology and space to improve the quality of daily life in urban environments. 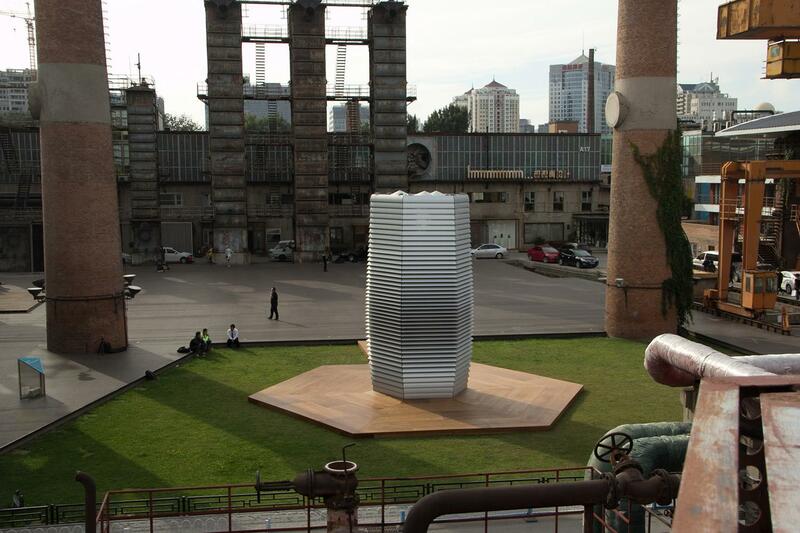 The SMOG FREE TOWER provides a local solution for clean air such as in parks. 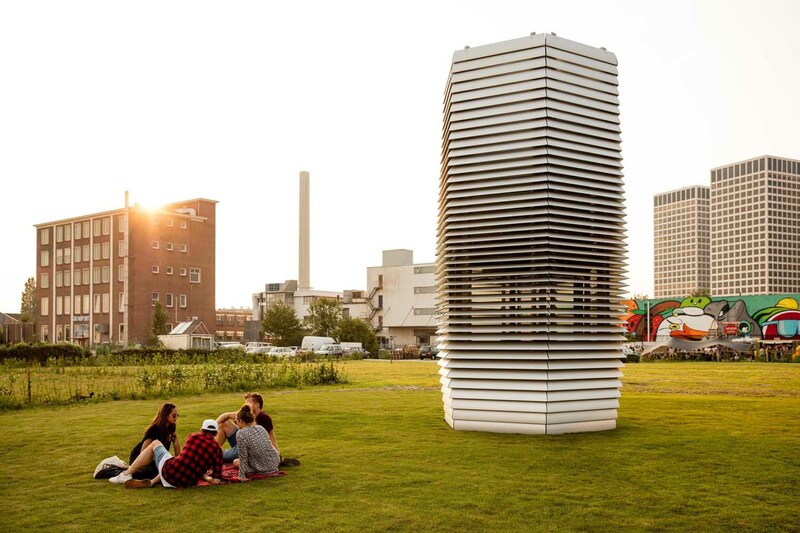 The effect of the SMOG FREE TOWER has been validated through an on-site study. The Smog Free Project is not only intended to be a local solution for parks, but also an inspirational experience of a clean future. 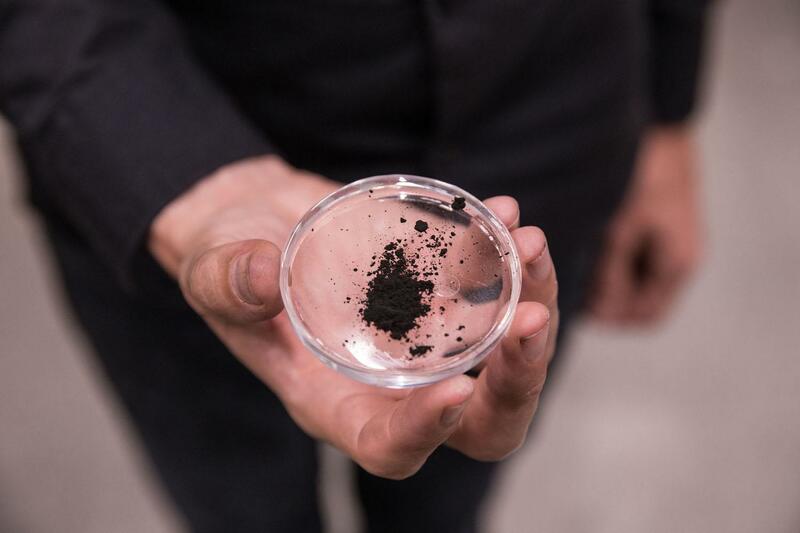 Creating a tangible souvenir, the designers also created the SMOG FREE RING of compressed smog particles. 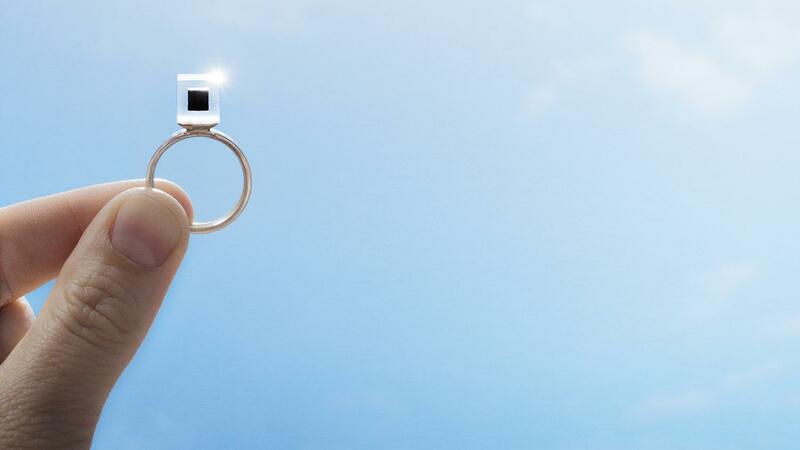 By sharing a SMOG FREE RING you donate 1000 m3 of clean air to the city. In 2017, a new addition is added to the Smog Free Project: SMOG FREE BICYCLE. The innovative bicycle inhales polluted air, cleans it, and releases clean air around the cyclist.